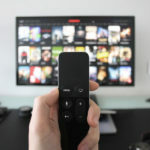 No sooner has the 4K finally started to make sense— with Amazon, Netflix, BBC iPlayer and Sky Q streaming hours upon hours of 4K content and 4K Blu-rays now a commonplace— than manufacturers started to look to the next big thing. And although 4K TVs have barely had the chance to establish themselves in every living rooms, the next generation of tech is now waiting in the wings. With even more picture clarity and detail, they promise to outshine today’s TVs and 8K is definitely is on its way. But, is 8K TVs something that you should care about right now? We’re here to explain all the things you need to know about the new generation of TV. What is 8K? What’s the resolution? 8Ks are nothing short of the clearest picture and display that you will ever see. It has 4 times more pixel that today’s 4K images, measuring 7680 x 4320 pixels, which equates to a whopping total of 33,177,600 pixels. IT is also called 4320p and offers a 33-megapixel image. 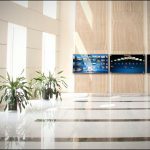 In 65-inches screen, these pixels are so small that you will not be able to make out its structure, though most 8K TVs are very much larger. It is called 8K since the images are approximately 8,000 pixels wide, but the specs also come under the common term Ultra HD, thus, some individuals use the terms Ultra HD 8K. However, others call it 8K Super Hi-Vision like the NHK which is the largest public broadcaster in Japan that was invented way back in the year 2000. 8K vs. 4K: Isn’t 4K enough? 4K is superb, I’ll tell you that. And if you have not upgraded your home TV to 4K yet, then you will be amazed at the great difference between Full HD that you have been watching and 4K content. 8K, on the other hand, will double that leap. The differences might not be quite superb, however, when you are looking to get the most immersive images and experience possible, then the more detail that you can offer into a shot, the better. In practical terms, it is the difference between looking at a 33-megapixel picture and an 8-megapixel picture— with HD pictures offering only 2 megapixels by comparison. Do all those extra pixels really matter? For all the naysayers doubting whether the extra pixels are totally worth it, I’d like to argue that there is a good chance they will. Full HD 1080p TVs give you 2Mp which is not much compared even to your smartphone’s camera is capable of. 4K just upgraded to 8MP which is again a simple thing for smartphones. Thus, the 33MP image of 8K could at least offer the kind of immersion that you have been searching for. Do they need HDMI 2.1? 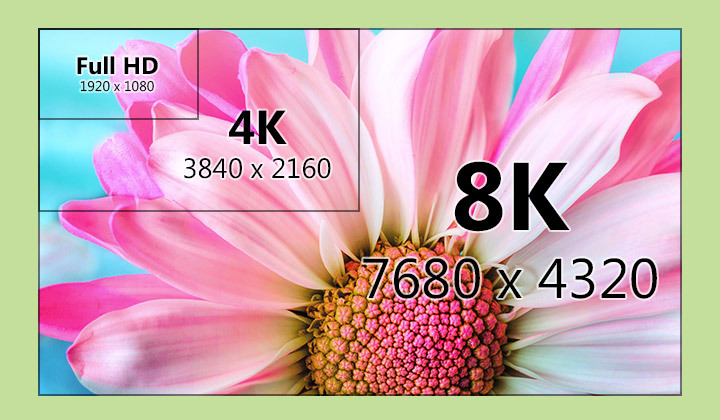 Does 8K require bigger screens? 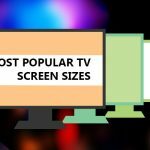 In recent years, the average size of our TVs has been dramatically shifting upwards. That is down to a combination of higher quality picture resolution, improved designs, and reduced prices. And as screens get bigger, the pixel density also decreases. Thus, higher resolution just simply makes more sense on larger TVs. This only explains why most of 8K demos were shown on 85 inches screens and above. Although, there are still some 8K models that will be available in more accessible sizes that are more living room friendly and cheaper, too. What 8K TVs are on the market now? In late 2018, Samsung released the Q900R 8K TV and garnered a lot of “wow” from the people, especially those who are into techy stuff. In the United Kingdom, you will be paying £6,999 for the 75-inch model and £4,999 for the 65-inch. Meanwhile, the 85-inch model is now retailing for $14,999 / £14,999. At CES 2019, LG debut 2 new 8K TVs, including an LG 8K OLED and the 75-inch SM99. Sony showed off their Master SeriesZ9G 8K LED TV while TLC offers their 8K QLED Roku TV. Can you watch 8K contents? 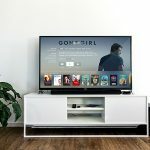 Some streaming giants like Amazon Video and Netflix, have only started making 4K content available on their platform services and even these giants are lagging behind a bit. Meanwhile, HBO and Hulu have not even made an effort in order to make 4K contents available. Thus, it is safe to say that the consistent stream of 8K contents is still a few years in the future. Although particular 8K content won’t be available on streaming devices, most 8K TVs are being constructed and built with the tech to upscale any existing content into an 8K quality. It will not be nearly as stunning and crisp as particular 8K contents, however, it will give you a reason to maybe get one of those unreasonably expensive TVs. When the HD TVs were released, there’s little to no available HD contents for us to watch, thus upscaling filled the gap. Although it typically improved upon the standard definition of picture clarity, there are no downsides whatsoever, like juddering image motion. What I can tell you is that upscaling is definitely improving with some fairly convincing 4K upscaling technology already readily available in today’s 4K TVs. So, should I get a 4K now or wait for 8K? That’s a pretty hard question. But for now, the answer is quite simple. Since there is not really any 8K content right now, then you will only be getting an 8K TVs for bragging and to get a hint of its amazing potential through up scaling. Remember, that we are still a long way from seeing the 8K hitting the mainstream. Also, 4K is still global and with the amount of tech invested by major networks, companies and studios, it is extremely unlikely that it will face out any time soon.